2016 NFL Hall of Fame nominee and pro football legend Terrell Owens has teamed up with Butterfinger to make the Super Bowl bolder than ever before with the Bolder Than Bold campaign by asking players to bring back the boldest moves on the field – the touchdown dances. Butterfinger has offered to cover up to $50,000 for fines that may be incurred by any player boldly celebrating in the endzone. In the video above, we asked T.O. 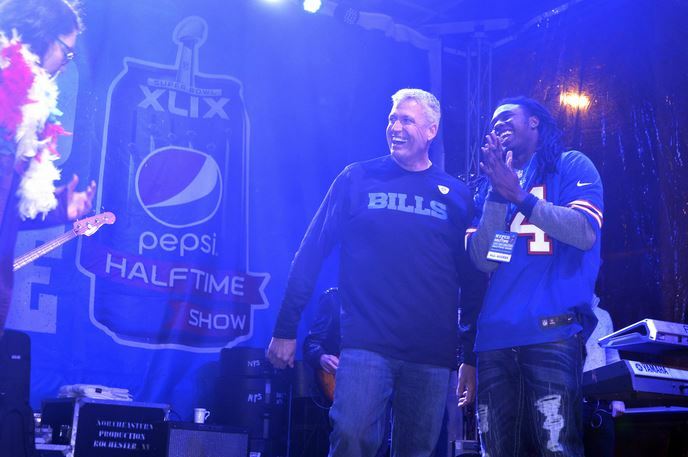 about his potential Hall of Fame induction, if he ever used HGH or PEDs, and his favorite endzone celebration. Even if your NFL team of choice is so inept on offense that you have serious doubts about leadership’s ability to successfully staple one document to another, the Swingline NFL stapler looks cooler than your team plays. Swingline released a special limited edition line of NFL branded staplers commemorating the 2015-2016 football season. Seventeen of the most popular NFL team logos (sorry Lions and Vikings!) adorn America’s leading stapler, the Swingline 747 series, and are currently available at major retailers and online. For every Swingline NFL stapler purchase of between $100 to $249, $250 to $499, $500 to $999, and 1000+ earns a $10, $25, $50, and $100 NFLshop.com gift card respectively. Believe it or not, Swingline existed prior to the movie Office Space (and Milton’s insistence on only the high-end stapler) and has been around for 90 years. But once you feel a Swingline stapler in your hands, you can see why Milton was so attached; it feels awesome. The stapler is solid, smooth, nicely weighted, and the team logos and colors are prominently displayed. The limited edition NFL Swingline stapler is available available at leading retailers and on Swingline.com. For an unknown reason, NFL history has robbed the Redskins dynasty of the 1980s and early 90s of the recognition it deserves. But the real question is, why? NFL fans remember the Packers championship teams of the 60s, the Steelers of the 70s, the 49ers of the 80s, the Cowboys of the 90s, and the Patriots of the present day. But no one remembers the Joe Gibbs-led Redskins. From 1982 to 1991, the Redskins appeared in four Super Bowls and won three of those games, and in each game, they won with a different starting quarterback and a different starting running back. Not content with one of the most successful coaching careers in NFL history, Gibbs created his Joe Gibbs Racing NASCAR team in 1992. The team has won three Sprint Cup championships since 2000 with stud drivers like Bobby Labonte and Tony Stewart. At this Sunday’s Daytona 500, the Joe Gibbs Racing Crispy M&M’S #18 car will return to the track after a 10-year absence, piloted by Kyle Busch. 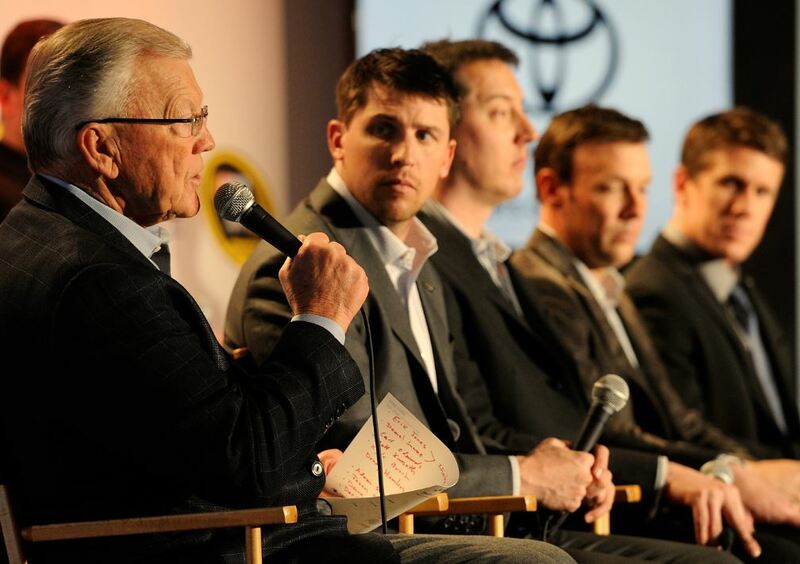 We spoke to Coach Gibbs about flourishing in both sports, the upcoming Daytona 500, his relationship with Jack Kent Cooke, and why he thinks his success with the Redskins has been largely ignored. You can listen to the interview via the audio player or read the full transcript below. Let’s talk about Crispy M&M’S making their return to the track after a 10-year hiatus, kind of like you making your return to the Skins the second time. Just about the same; I was 11 years, Crispy’s been out 10 years. We’re excited to have them back. And on Sunday’s Daytona 500, every time that Toyota Camry comes off the corner with Kyle Busch driving it, it’s going to be bright green and it’s gonna represent the return of Crispy. So we’re excited about that and I’m excited to be part of the M&M’S team. It just occurs to me that the Skins dynasty doesn’t get the props it really deserves. Why do you think that is the case historically? “Well, I’m glad that you mention that because I feel strongly about that. And I think you’re right. We went to four Super Bowls in 11 years. And we had great players; I think that more of our players should be in the Hall of Fame. You’re right, for some reason that era gets left out. Obviously, the 49ers were in there, the Giants… there were some other real good teams. But I feel just like you, you voiced the opinion, which I agree with. What it takes to be able to get to a Super Bowl, and to do it four times, that says a lot about our ownership, our front office and our players. So, I agree with you and I appreciate you bringing it up. Well, I’ve thought about this probably more than I should’ve, but it’s almost like the legacy is punished because of your versatility. You’ve got three different quarterbacks that you won a Super Bowl with, three different starting running backs. Defense has a couple of stalwarts, but there’s a lot of personal changes there as you’d expect over an 11-year period. Do you think the success you had with so many personnel changes has been detrimental in hindsight, if that is even a possibility? Well, you bring up an interesting point. I’ve never looked at it that way. But I think we had a lot of those players that went to two, three, four Super Bowls. And I think that for that period of time, we did have three different quarterbacks. But I think that says a lot about the surrounding players we had with them and those three guys. People always say, “Hey, you won three Super Bowls with three quarterbacks.” What they leave out is three great quarterbacks. You got Theismann, you’ve got Doug, and you’ve got Mark Rypien. I mean, those guys were special; we had special players. But I appreciate you bringing it up this morning, you made me feel good! Okay? Because I think we need more attention on what we were able to accomplish, that team, in that 11-year period. 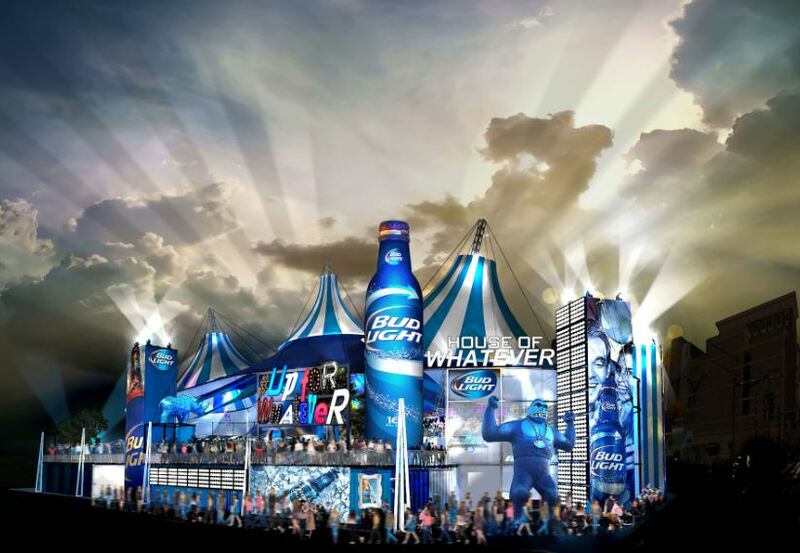 Unlike most Super Bowl parties in Arizona, you can’t buy tickets to Bud Light House of Whatever. Instead, you have to prove yourself! The Bud Light House of Whatever is a three-day event featuring unforgettable parties, amazing concerts and unique activities, much like this summer’s epic Whatever, USA that we were fortunate to attend. So, how can you attend? As seen on Bud Light’s Instagram, Bud Light is inviting beer drinkers 21+ who are “Up for Whatever” to audition for the chance to take part in the experience. Now through Monday, January 19, create a 15-second video demonstrating how you would live out a phrase presented on a Bud Light “Up For Whatever” bottle. Post it on Instagram and tag it @BudLight and #UpForWhatever for the chance to be invited to Bud Light House of Whatever for an incredible weekend featuring three days of parties, concerts and unique activities.